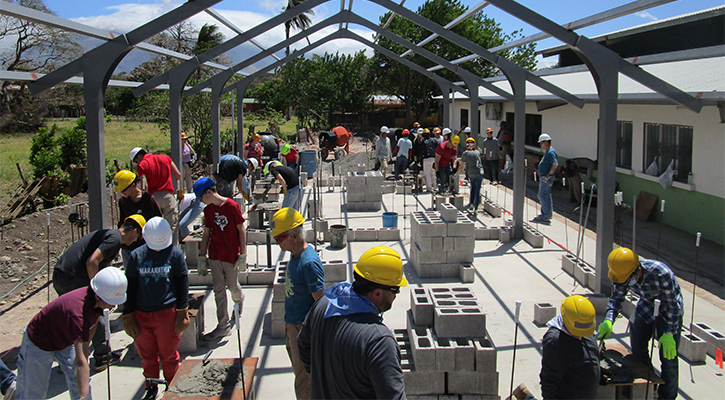 At the end of March, 106 volunteers from 11 separate groups joined together in Costa Rica for Maranatha’s annual “Multiple Group” mission trip, focusing on work sites near the town of Guayabo. Volunteers helped construct a kindergarten classroom for the Guayabo Adventist School where Maranatha previously built a large school building in 2000. They painted the Agua Claras and Bagaces Seventh-day Adventist Churches, provided children’s programs in the community near each work site, and led an interactive health education program. At the conclusion of the trip, volunteers not only completed much of the new kindergarten classroom but gave an offering to help pay the tuition for several new students to begin attending the school. When you give, we build wells.